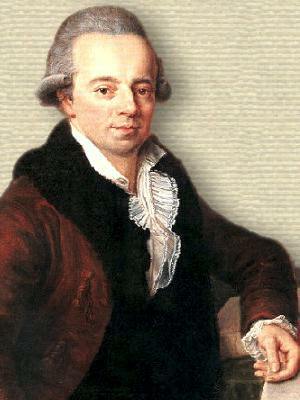 French mathematician who was the most distinguished in the second generation of the Bernoulli family of mathematicians. Quoted in The Mathematical Intelligencer (Winter 1991), 13, No. 1, 6. 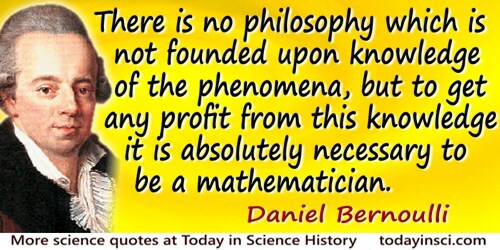 There is no philosophy which is not founded upon knowledge of the phenomena, but it is absolutely necessary to be a mathematician to get any profit from this knowledge. Letter to John Bernoulli III (7 Dec 1763), held at the Basel University Library. As quoted and cited in Leonhard Euler, Commentationes Mechanicae ad Theoriam Corporum Fluidorum Pertinentes (1955), Vol. 2, lviii. The editor, Clifford Ambrose Truesdell III, states he viewed the letters firsthand. 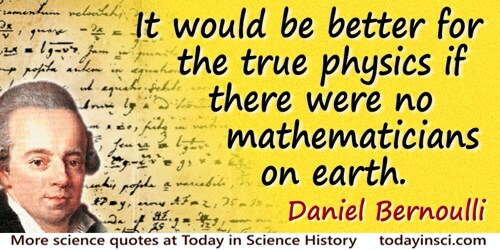 Daniel Bernoulli used to tell two little adventures, which he said had given him more pleasure than all the other honours he had received. Travelling with a learned stranger, who, being pleased with his conversation, asked his name; “I am Daniel Bernoulli,” answered he with great modesty; “and I,” said the stranger (who thought he meant to laugh at him) “am Isaac Newton.” Another time, having to dine with the celebrated Koenig, the mathematician, who boasted, with some degree of self-complacency, of a difficult problem he had solved with much trouble, Bernoulli went on doing the honours of his table, and when they went to drink coffee he presented Koenig with a solution of the problem more elegant than his own. In A Philosophical and Mathematical Dictionary (1815), 1, 226. 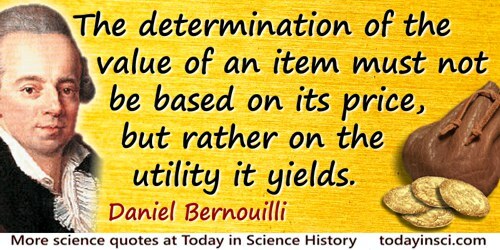 8 Feb - short biography, births, deaths and events on date of Bernoulli's birth.